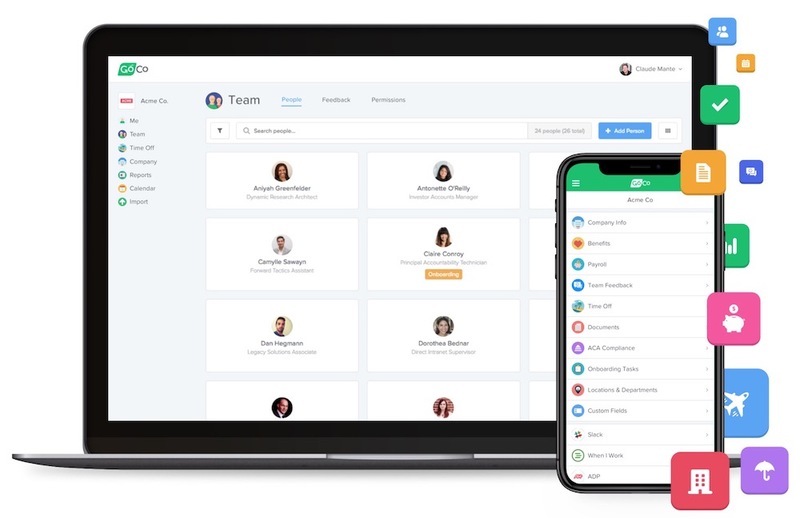 Houston-based human resources and benefits management platform company GoCo has raised $7 million in Series A funding led by ATX Seed Ventures along with the investment arm of UpCurve (a wholly owned subsidiary of New Media Investment Group). Founded in 2015 by Nir Leibovich (CEO), Jason Wang (CTO), and Michael Gugel (chief product officer), GoCo has raised a total of $12.5 million including this round. Some of GoCo’s existing investors include Salesforce Ventures, Corp Strategics, GIS Strategic Ventures (the venture arm of Guardian Life Insurance), and Digital Insurance. And ATX Seed Ventures returned for this investment. With this round of funding, GoCo will be hiring across all of its departments and further develop its platform. Plus the company will broadly expand the company’s customer base. GoCo is also exploring a partnership to bring its technology to UpCurve’s nationwide distribution network as the premier HR solution. And this could enable GoCo to leverage New Media’s 200,000+ active customer relationships and local markets reach an additional 5 million SMB customers. GoCo offers paperless HR functions such as employee onboarding, cloud-storage document management, eSignature workflows, time-off tracking, and HR data reporting. Plus it pairs with simplified benefits enrollment and management, payroll sync, and HR compliance management. In the past two years, GoCo grew its customer base of employers into thousands. The customers range from a wide variety of sizes and verticals like retailers, school districts, tech companies, real estate brokerages, hospitality organizations, etc. This year, GoCo is planning to quadruple its number of employees. GoCo has partnerships with employee benefit insurance agencies such as OneDigital and PayneWest and general agencies like Word & Brown. Plus GoCo auto-syncs with payroll providers such as ADP, PayChex, Paylocity, and Intuit Quickbooks.